SAN FRANCISCO: What else can you say about the Chevrolet Corvette? Dollar for dollar, it's probably the best sports car in the world. I mean, it's no Ferrari 550 Maranello, but it's only a second or so slower than this Italian speed demon. The Corvette is no Acura NSX in the slalom, but it handles almost as well as the best-handling production car in the world. It's no Porsche Carrera, but it can brake almost as well as this German wundercar. And we're talking about minimal differences in all these tests. An inexperienced driver might not even tell the difference in everyday driving. But then, you look at the price tag. Acura NSX: $84,000; Porsche Carrera: $90,000; Ferrari Maranello: $225,000; Corvette: $52,000 for the loaded test convertible version I drove last week. And the hardtop model starts at only $40 grand! An inexperienced driver can surely see the differences there. I have to admit that going into this test drive, I was a little biased. This was a convertible. You know, a ragtop version of the 2000 Corvette. But I think I put my positive predispositions for convertibles aside and just looked at the Corvette. First and foremost, this is a performance car. 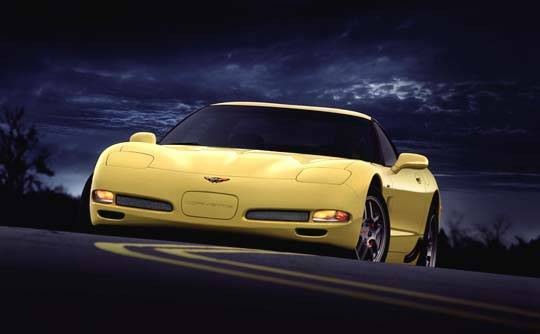 The 5.7-liter LS1 345-horsepower V8 can power the Vette from 0-60 mph in less than 5 seconds. And believe me, that is very fast! And it's always part of the "best sports car in the world" tests, and it always scores high on the list. Every time. That's why I say, dollar for dollar, it has to be the best, because the Corvette is always competing against cars that are much more expensive. How many of us would take a Dodge Viper on a cross-country trip? I know I wouldn't. But I would not think twice about driving a Corvette from Wilmington to Los Angeles  especially if it was a ragtop version. The top goes up and down fairly easily. There is an additional step not found on most manual top convertibles though. After you release the two catches above the windshield, you lift the back of the top, and open the rear cover in front of the trunk. The top then hides away underneath the hard tonneau cover that locks back into place. Plus, this only affects trunk space by a couple of cubic feet, and even with the top down, you still have more than 11 cubic feet of cargo capacity. But the performance is really what most people want to know about when they read Corvette reviews. 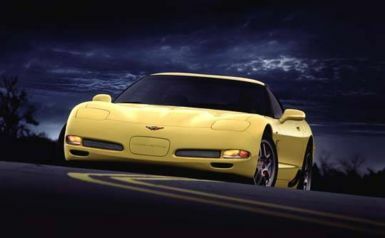 Chevy has a pretty advanced stability control system with its optional active handling suspension found on the Vette. It works in conjunction with the standard anti-lock brakes and traction control systems to apply any of the four brakes in an effort to help keep the driver out of any bad control situations. Column Name: "The Best Sports Car in the World for the Price"